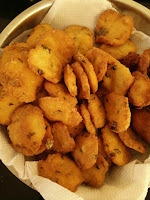 These are fired snack made using Semolina as main ingredient. 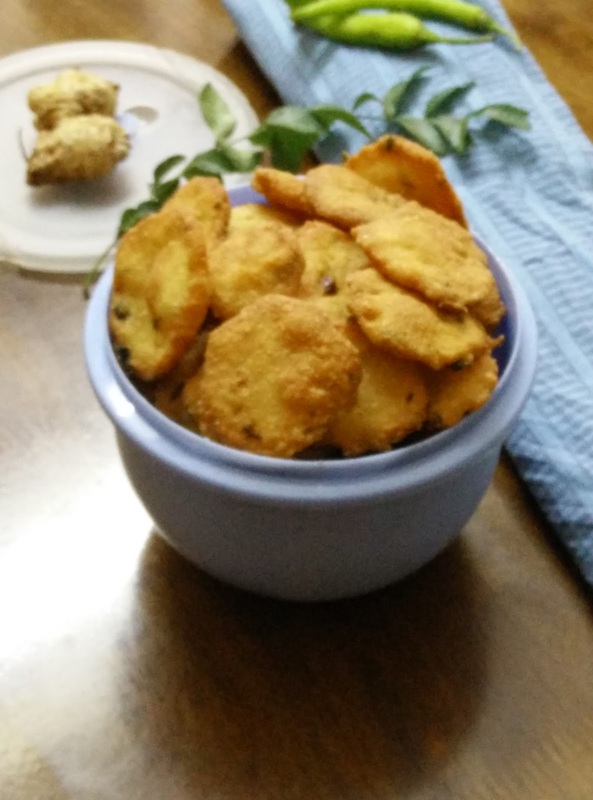 Green chillies , Ginger and Curry leaves adds a special taste to this snack. 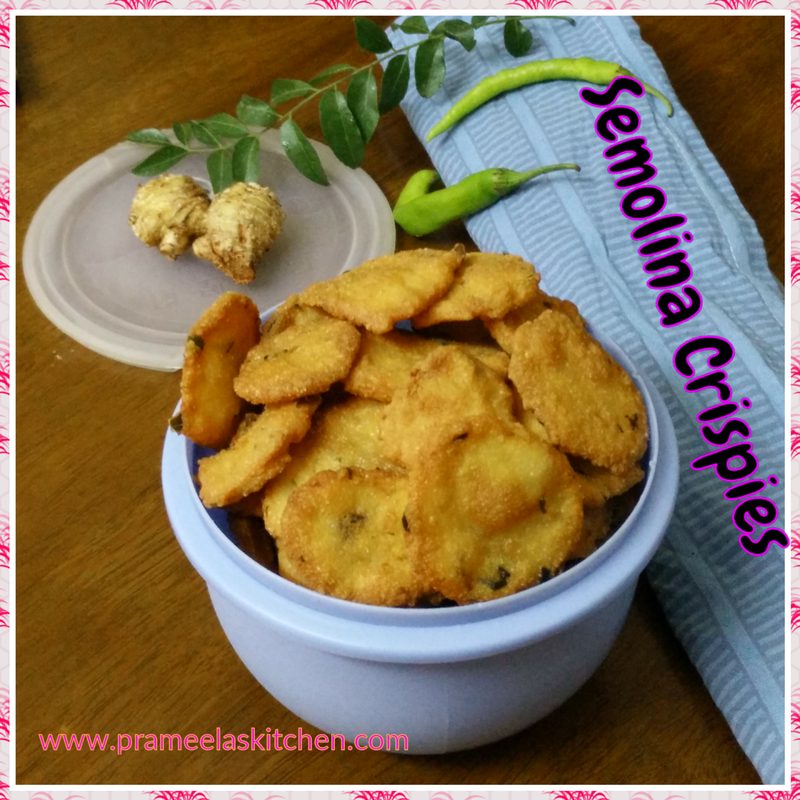 Serve this snack along with hot tea and enjoy !! 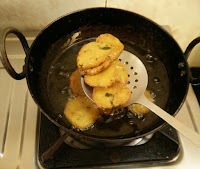 I have learnt this recipe from my mom and we call it as "sajjige vade" in tulu. I just love this crunchy snack with my 11 o'clock tea during first half of the day.This goes as part of lunch box menu too just to avoid outside fried snacks like chips.!!!!!! 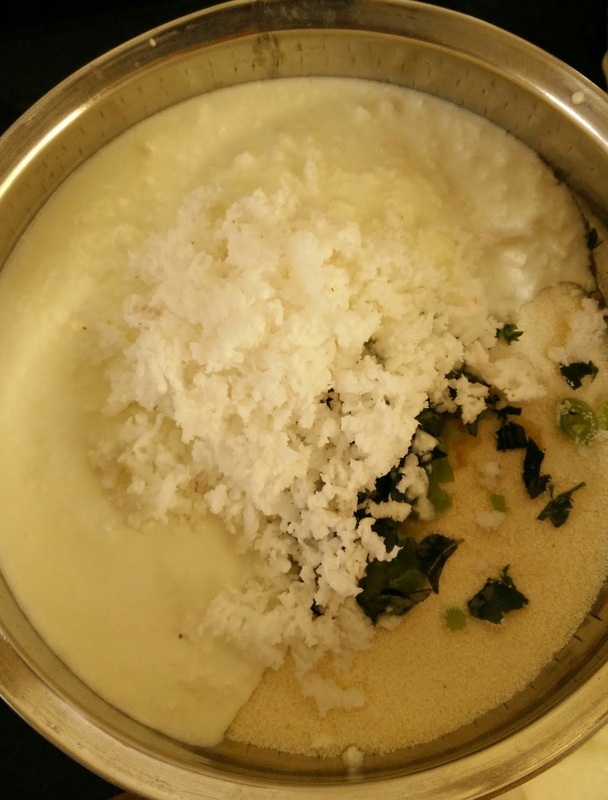 In a mixing bowl combine all the ingredients except curd and oil.Now add 3/4th cup of curd and mix it well. 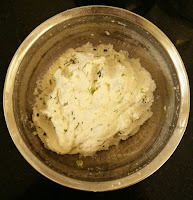 You should form a soft dough in such a way that, you should be able to make thin discs out of it.Now check and add remaining curd and mix it well to form a soft dough .Keep it aside for 5 minutes with the closed lid. 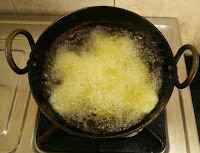 Heat oil in a heavy bottomed pan for deep frying crispies.Take the dough and make 9-10 small sized balls. 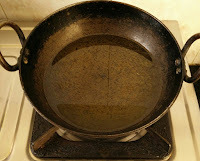 Take a banana leaf or plastic sheet or baking sheet and grease with a tsp of oil.Take a ball and keep it in a sheet. 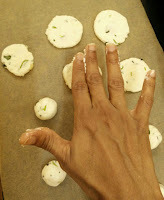 Flatten it with fingers to form tiny chapati. 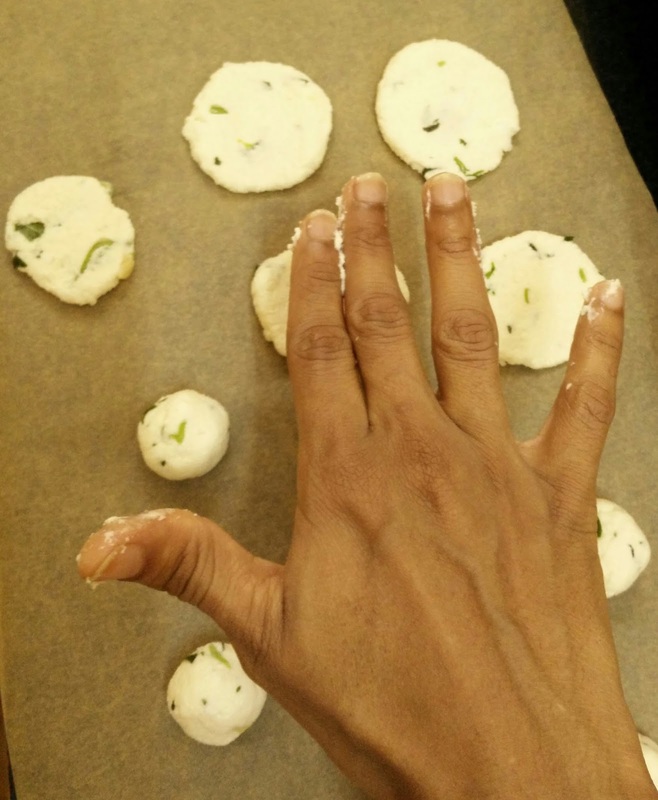 Make sure the tiny chapatis are neither too thin nor too thick.You can make these tiny discs using your palm also by keeping the ball in one palm and flatten it with your fingers of other hand. 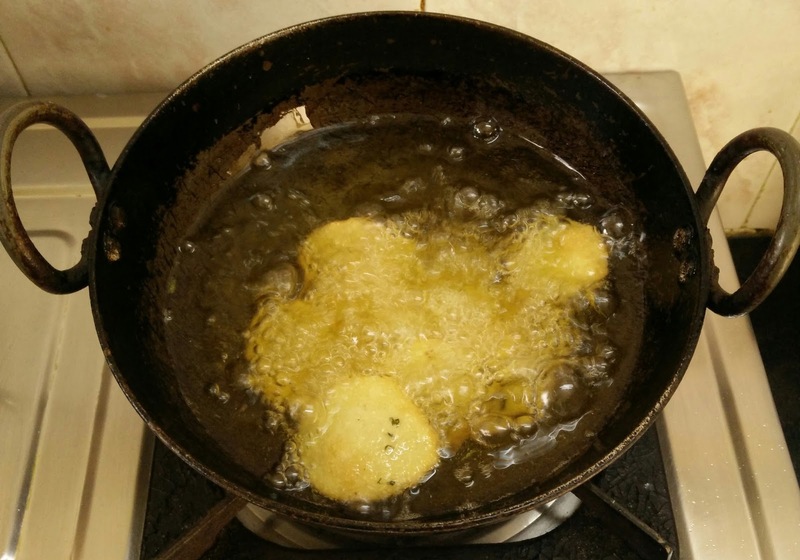 Lift the sheet from one side and carefully take the tiny chapatis and put it in a hot oil. Fry until both the sides are little brownish .Remove crispies from oil once the sizzling sound stops and place them on kitchen tissues. It will take around 4-5 minutes for each round of frying if you keep the flame in medium. 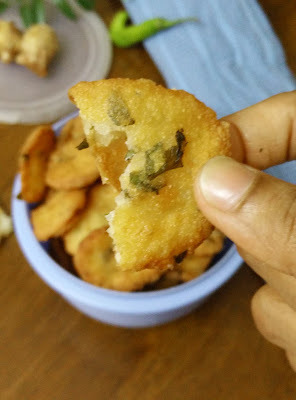 Repeat the same for the remaining dough. Store semolina crispies in an airtight container after it cools down. 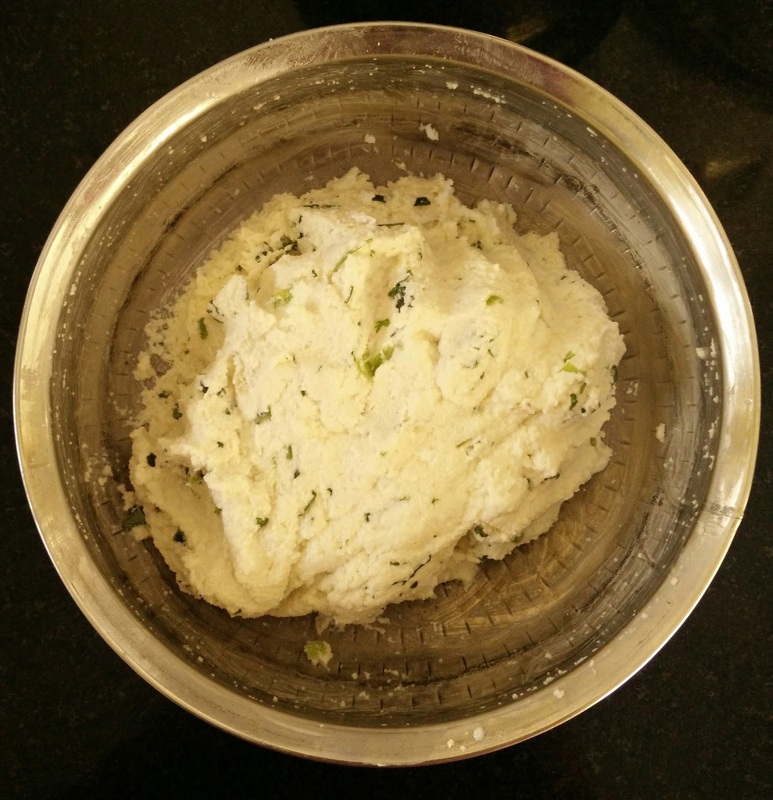 You shouldn't knead the dough too much , just mix it well. If you find it very sticky at the end, wet your hands with water and make balls ... and then flatten it .